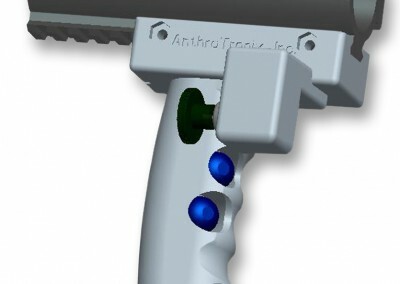 AnthroTronix has extensive experience developing defense and security technology. From haptic feedback devices, to interactive simulations, to advanced communication systems, we are confident that we can produce a solution to fit your need. The Mounted Force Controller is an isometric (stationary) controller that mounts on the front rail of a U.S. military assault rifle and can be used as a front vertical grip when firing the weapon. 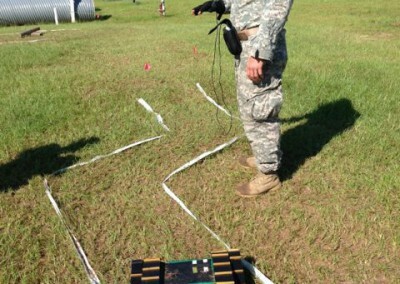 This versatile controller can be used to operate unmanned vehicles and payloads in remote locations, and additionally may be used as a weapon-mounted computer interface. 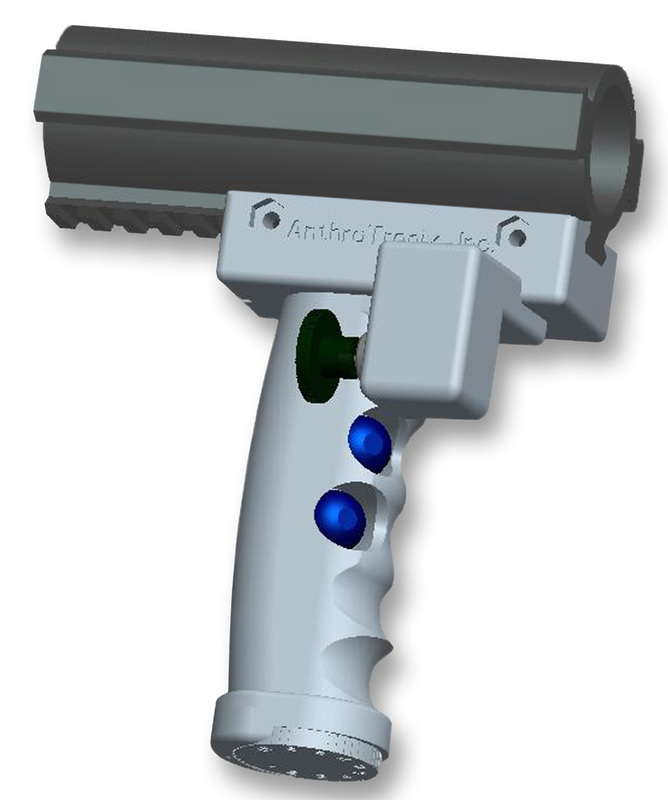 The MFC uses embedded accelerometers to translate movement of the grip handle into analog controller commands. Alternatively, users can use a 2-axis thumb operated joystick and buttons to replace standard mouse controls. The MFC is a stand-alone unit that can work in conjunction with standard “box” controllers to optimize machine interaction. The MFC was funded by the Army Research Laboratory under an SBIR grant. COMMAND is an integrated system comprised of an existing ATinc technology called HACS and Lockheed Martin’s GPS-driven mission planning and support system. 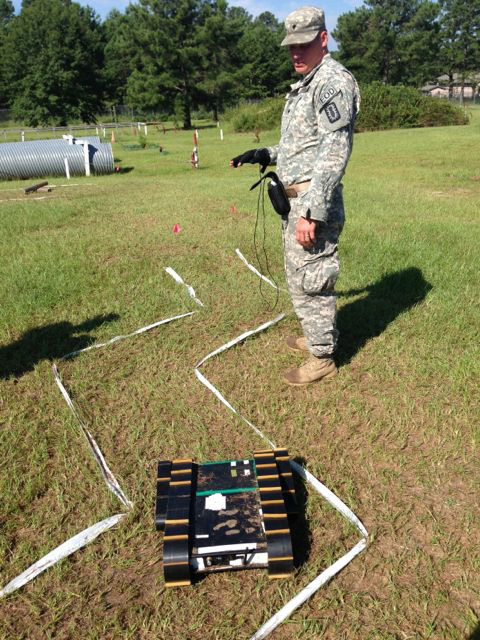 It was developed to enable multi-modal interaction for communication and navigation tasks for dismount infantry operations. 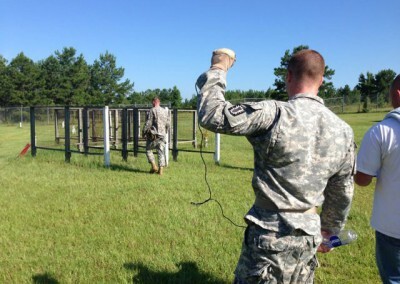 The COMMAND technology includes an instrumented glove and haptic feedback system which allows for automated detection and recognition of standard hand-and-arm signals, as well as rate and direction of weapon firing. In addition to this, the system also includes a navigation mode to provide support to individual warfighters, guiding a warfighter via single or multiple modalities–which could include visual, auditory, and haptic. Navigational hand signals detected by the glove, e.g. location of rally points, danger areas, etc., can be classified and incorporated into mission maps in real time along with other mission-relevant information, such as the location of suspected enemy threats and activities. The Vibro-Tactile Feedback Belt is a haptic interface with a wide range of applications. The Vibro-Tactile Belt uses tactile actuators, spaced radially around the belt, to provide an alternative or auxiliary form of feedback. This feedback may be especially helpful to an operator in a stressful environment, an environment where noise discipline must be maintained, or a virtual training environment. In conjunction with a Global Positioning System (GPS), the belt can provide the wearer with directional prompts during navigation. 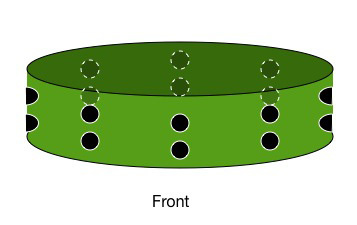 In both real and virtual environments, the belt might be used to indicate the pending collision of a robotic asset with an obstacle, or indicate the force with which a robotic arm is grabbing a sensitive object. With the modular design of the belt’s tactor control circuitry, the technology can be easily modified to integrate into other form factors and applications. AnthroTronix has implemented the tactor system into a 20-motor vibro-tactile vest used for haptic language research, and in a two tactor wireless paging arm band. In addition, this technology may be used in conjunction with the HACS system for communication.